Car accidents at intersections are a frequent occurrence. In fact, according to data compiled by the Federal Highway Administration, approximately 2.5 million accidents take place at intersections each year. Unfortunately, these incidents are often fatal. Those who survive may endure serious injuries and be burdened with significant medical expenses. If you have been in an auto accident at an intersection in or near Sacramento, CA, you want to have a car accident lawyer on your side. At Shore, McKinley, Conger & Jolley, we will fight for the compensation you deserve. Even if you are paying attention to the road and driving the speed limit, you can be involved in an intersection car accident on account of another driver’s carelessness or negligence. Running a Red Light or Stop Sign: When drivers run a red light or stop sign, they can broadside another vehicle. Inadequate Surveillance: This term refers to drivers that fail to observe their surroundings and overlook another vehicle. Aggressive Driving: Speeding is just one form of aggressive driving. Other forms include tailgating, erratic lane changes, dangerous passing, failure to obey traffic signs, and improper turns. Failure to Yield: When a driver fails to yield to another driver who has the right of way, a crash may result. False Assumption: Drivers sometimes falsely assume that the other vehicle is going to stop. Distracted Driving: Examples of distracted driving include speaking on the phone and playing with the radio dial. Unfortunately, auto accidents at intersections often lead to injury. 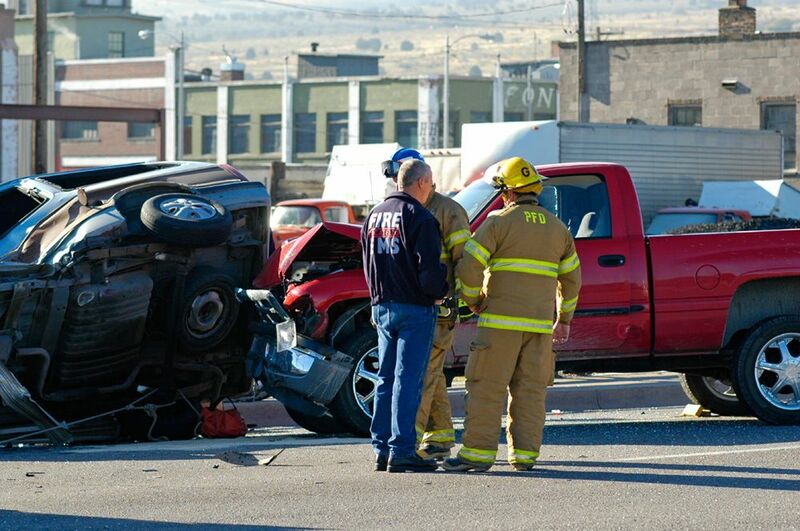 Injuries from these accidents can range in severity from bumps and bruises to paralysis and death. No matter how serious the injury seems, be sure to seek professional medical assistance. It is important to your case that all injuries and medical treatment are documented. In California, the “right of way” can determine who is at fault in an intersection car accident. For example, the law states that at “uncontrolled” intersections (those without stop signs, yield signs, or stop lights) you must yield to a driver who has already entered the intersection. Our team of attorneys will investigate the facts of your car accident to determine who is at fault in situations such as these. Call the car accident lawyers at Shore, McKinley, Conger & Jolley at (209) 477-8171 or contact us online to schedule your case review. Let us collect the facts while you focus on healing.